The ancient fortress of Sigiriya is among the most beautiful places on Earth that is definitely worth seeing at least once in a lifetime. It is both an ancient fortress and a former palace. Also called the Lion’s Rock, as it stands on top of a gigantic rock of 200 meters high, this amazing place is located in Matale District of Sri Lanka, surrounded by an extensive network of gardens, water tanks and other structures. 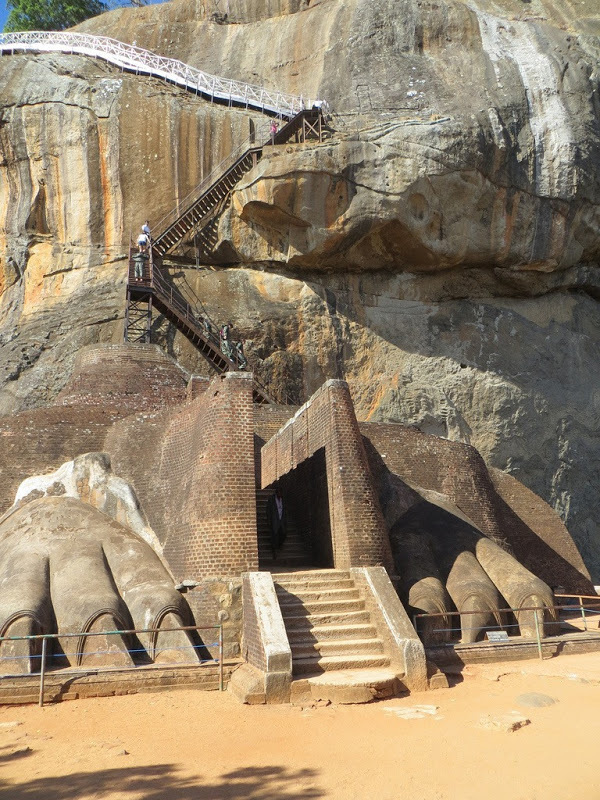 The name Lion’s Rock also comes from the discovery of some gigantic paws of a lion carved in the rock. It is believed that the rest was eroded in time. The painting has another meaning: the lion reminds believers that the truth spoken by Buddha is as strong as a lion’s roar. 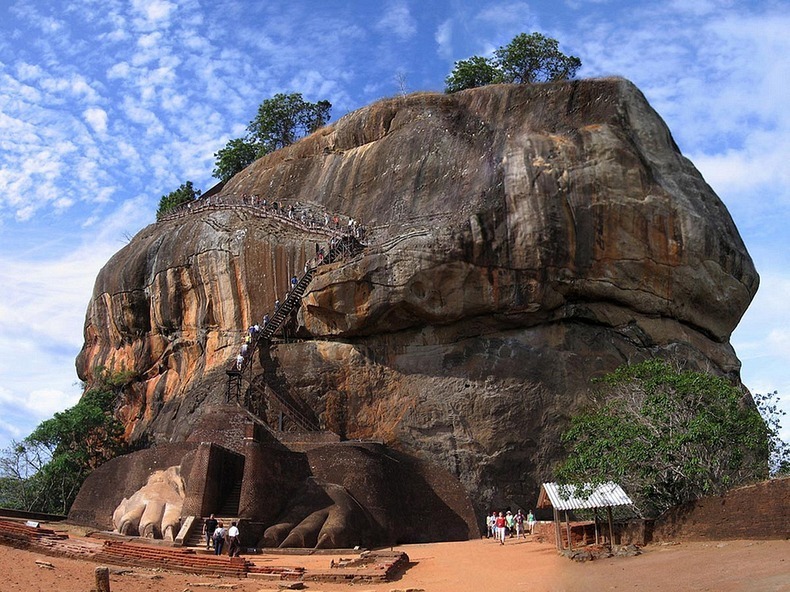 Sigiriya is also one of the oldest gardens in the world, which combines the natural beauty of giant boulders with terraced gardens. 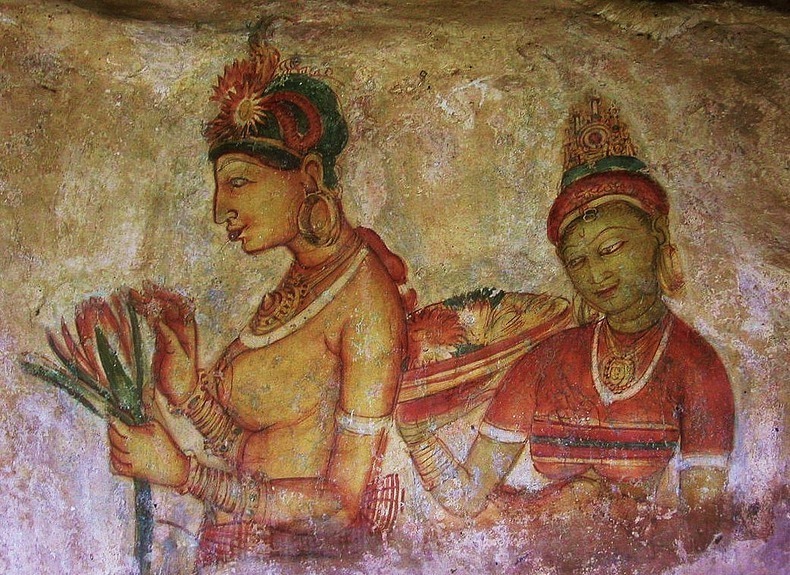 Once a famous royal palace, Sigiriya is a popular tourist destination, known for its ancient frescoes, which are similar to those found in the Indian Ajanta caves. 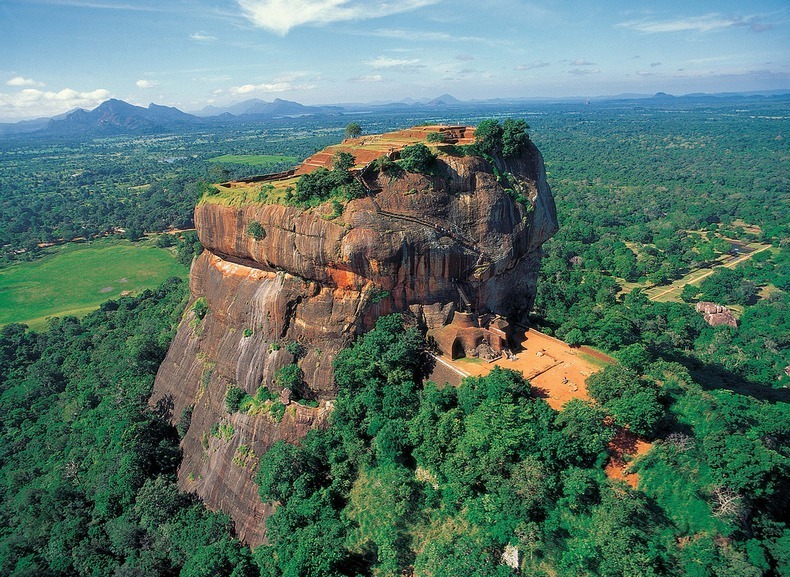 It is one of the seventh sites in Sri Lanka that were listed as UNESCO World Heritage Sites. It is considered one of the best examples of town-planning that date back from ancient times. 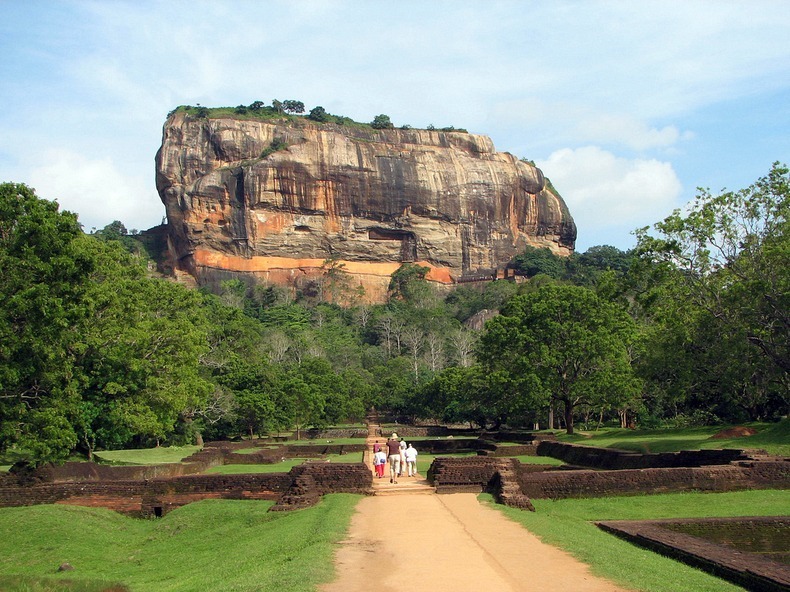 During the Middle Ages, Sigiriya was for a short time the capital of the island. It was under the reign of Dhatusena Dynasty. Originally used in the third century BC by Buddhist monks as a place of retreat and meditation, the site served later as a residence and fortress to King Kassapa I (477 – 495 AD). When Kassapa was defeated by Mogallana and lost his throne, the site was given to the Buddhist monks. In the fifth century, the Buddhist cult Sangha opened here a church. Abandoned in 1155, the old stone citadel of Sigiriya was rediscovered in 1828 bringing to the surface some important moments in the island’s historical past. And this because it hosts impressive frescoes from its glorious past. The paintings cover the entire western wall of the fortress, being spread across an area of 140 meters long and 40 meters high. This makes them unique, both in style and as embodiment. The rock is still surrounded by an amazing complex of gardens and fountains. Actually, the gardens and the ruins are the only things that remind visitors of the former fortress. Tourists are mostly attracted by the frescoes painted on the Lion’s Rock, but they also seem to be interested in the caves carved into the rocky wall, which proves that the fortress was used as a natural refuge for the local monastery. On the other hand, we must say that the view can leave anyone speechless. One can climb the Lion’s Rock, but nobody said it was easy. You have to climb over 1200) stairs, but you’ll find a view worth the effort. this should have been the top priority site to visit when I was in Sri Lanka courtesy of the Sri Lankan tourist board for a week back in 1980. why am I just learning about it now? tsk tsk tsk.